SKU: CLO1250VL-PICKUP. Categories: Hip Hop, Rap, Vinyl, X-Ray. 400 RSVPs received in 24 hours! Space is very limited so RSVP NOW! More surprise guests to be announced! 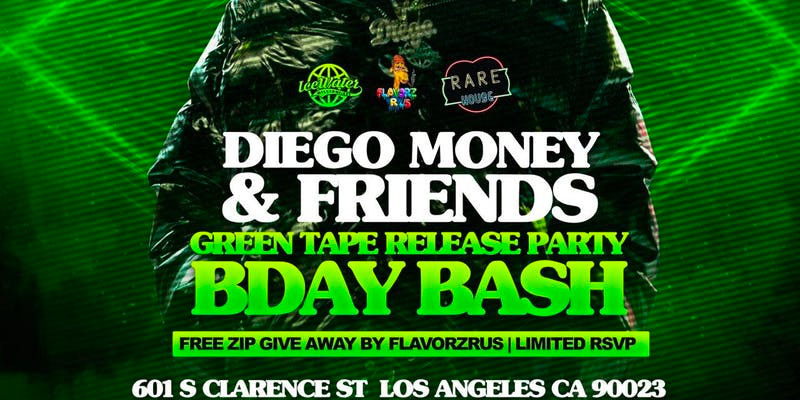 Order your copy now and pick up at the “Diego Money & Friends Green Tape Release Party” April 19th at Rare House 601 S Clarence St Los Angeles, CA 90023. Only 400 RSVPs. Diego will personally autograph your copy at the party! 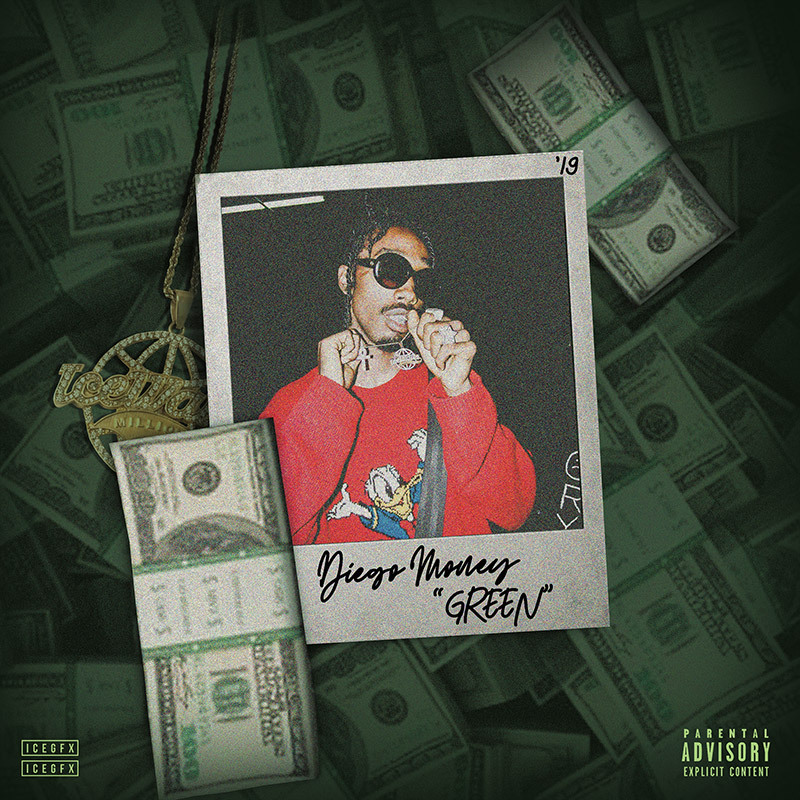 One of the strongest young voices is hip hop is about to break out in a major way with this new album, Green! 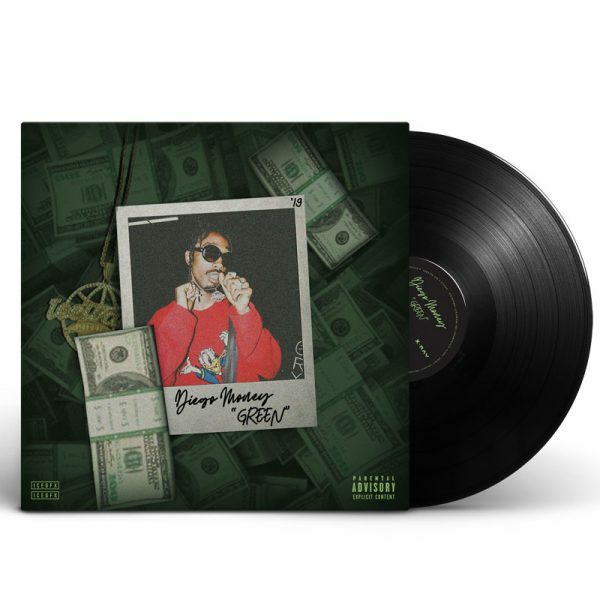 Guest appearances by longtime collaborator Famous Dex (almost 7 million monthly listeners on Spotify)! First single “Lt. Dan” set to drop on 4/20 and the pro-shot video for the track will drop on release date!